Slow speed photo of a wave rolling through as the sky is lit yellow by the setting sun. The dark object on the bottom is actually a surfer paddling out. 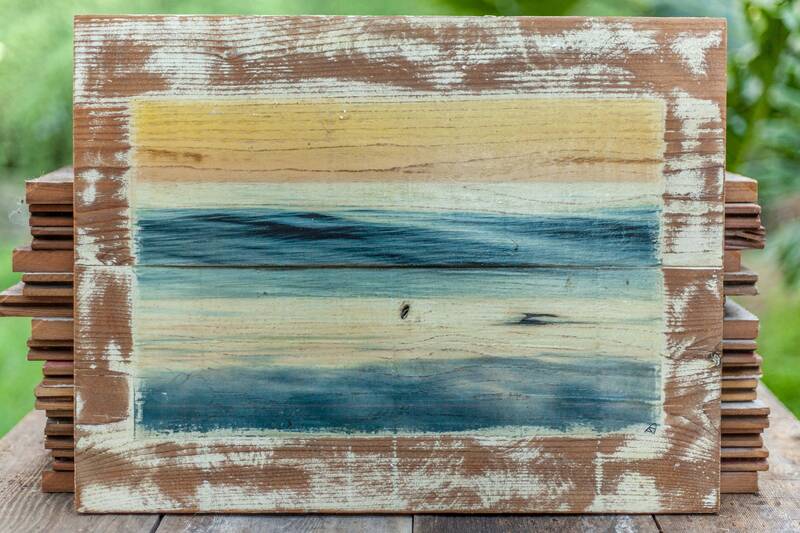 The image was transferred onto two pieces of recycled wood that's joined together. Its handmade process gives one of a kind result that makes each piece unique. The size is 20.5 x 16 inches. Wall hanger included.